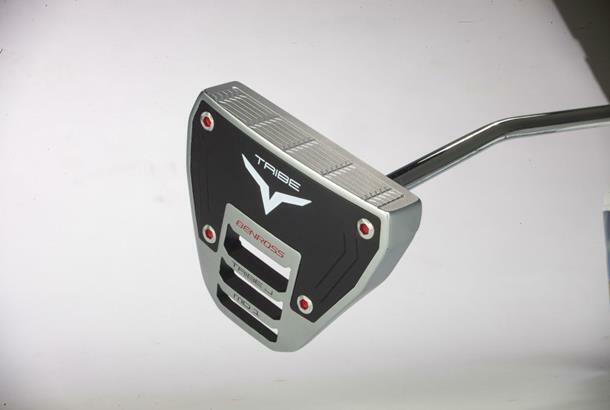 An oversized MOI mallet designed for maximum forgiveness when putts aren’t hit from the centre. Stability’s increased by a two-piece hollow head construction which allows the CG to be positioned accurately to encourage putts to skid less and roll sooner whilst also maximising forgiveness. The MDJ1’s wide body maybe just as forgiving as any premium putter in our test, but you can’t get away from the fact the sound produced by the hollow head isn’t quite as inspiring as the competition. Our three testers thought the overall quality of the finish wasn’t quite to Benross’ usual high standard either. The black painted top chipped in a couple of places on its way to TG towers, so it’s worth remembering you’ll need to religiously keep the Tribe under a headcover to maintain its tip top shape. 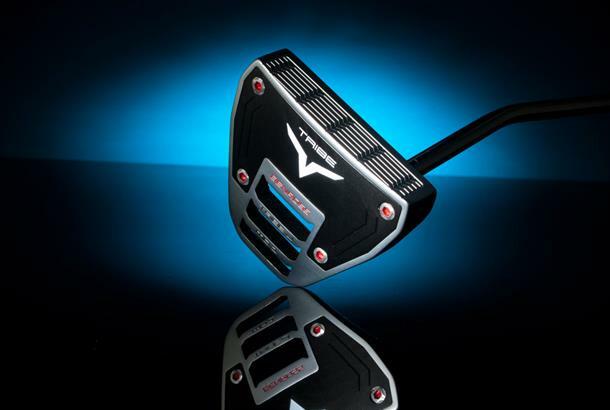 At £99 a pop is it fair to expect a putter to perform, feel and look as good as a £300 flatstick? Probably not if we’re honest, but because of a few chinks in the Tribe’s armour it makes it a difficult product for us to heartily recommend. Benross have always been about producing quality products at an affordable cost, but we reckon the MDJ1 shows how difficult it’s become to produce top quality goods at a budget price in China. At the end of the day we feel a £100 for a putter which isn’t quite to the usual standard expected of Benross is a big ask, especially when there’s other very recognisable brands available for less.